Spiritual Healing is something connected to your Soul. You might be depressed, feeling many body ailments which will bring the day to day anxiety in your life, want to know how Spiritual Healing will cure your most of your depression and anxiety from your life. When you eat too much or spicy or extra oily fast foods, again and again, it will upset your intestines and slowly and steadily you digestive system comes in warning mode. #1) Understand one thing very clearly you are living in present, so your thoughts about the past or thoughts which makes you think about your future have nothing to do with your present. Only what you will do in your present moment will become your history and will heavily affect your future, so it’s in your own hand what kind of memories you want to create for yourself bad, worse or worst or best, better or excellent, Similarly what kind of future you want to make. Like you want to be as a person in the future is depending what thoughts is coming to your mind right now.What Is Spiritual Healing? 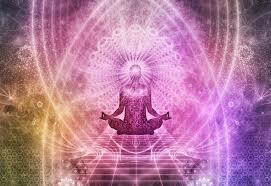 Learn to meditate: Meditation is very much necessary for your mind’s health, you have heard this from so many people or had seen many videos on meditation or have read books on it. But what is meditation, it’s nothing like sitting in a room closing your eyes and just focusing on your breathing. Actually, it’s like doing anything with a concentration in the present moment whatever you are doing, do it with full focus and it’s nothing but meditation. E.g You got a thought to let me eat a chicken cheeseburger, but it is not good for your body, so just give a kick on the butts of these kinds of thoughts. Slowly you will become habituated to live happy and healthy, and when you are both happy and healthy you become spiritual and when you are spiritual and is suffering from any ailments or disease, you will cure them easily because of the Spiritual healing you are actually not doing anything but it happens in your subconscious mind. So guys and gals do this meditation daily and remove all stress and anxiety from your life.